Yuki Tatsumi was waiting tables at an izakaya pub in Japan’s Kyoto when something on the table caught his eye — a chopstick wrapper folded and fiddled into an abstract shape. 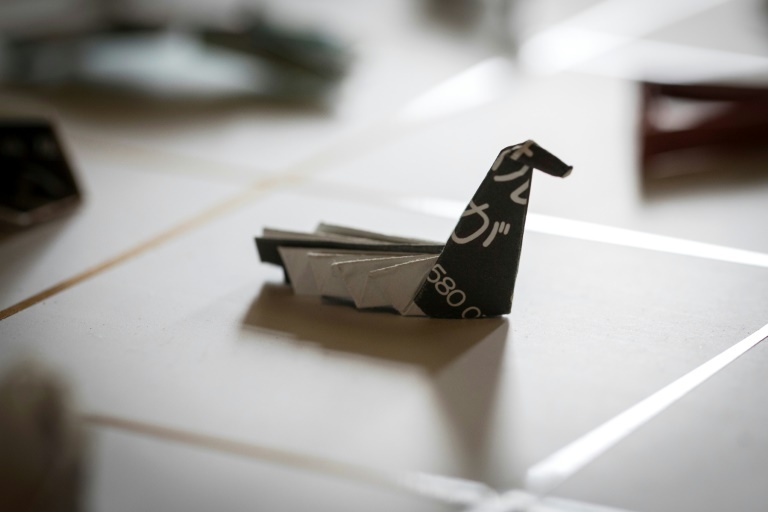 It was the catalyst for a collection that now includes some 15,000 pieces of found “origami art” made by customers folding the paper sleeves that cover chopsticks at Japanese restaurants. “The very first one I found just looked like a bit of junk,” 27-year-old Tatsumi admitted, but it made him think. Tipping at restaurants is not standard in Japan, but Tatsumi came to see the little folded paper pieces left behind by customers as a “Japanese tip”, and started watching out for different types. “I discovered many of them were folded in shapes of traditional good luck items in Japan, like a fan, a crane and a turtle,” he said. “Many of the restaurant owners that helped me told me afterwards that they now find it more rewarding than a real tip in cash,” Tatsumi said. He sees them as an unspoken message between customers and their servers in restaurants, and worries that as automated service becomes more common in Japan, the “tips” he collects will disappear. “When you walk into a restaurant and only deal with a machine, I don’t think you would make these items. I really think these are products created only when people communicate in person,” he said. “Japan is a very wealthy country, where you can find something to eat anywhere at any time, but I think people are becoming less appreciative of what they have or who makes the food,” he said.